Let us do one more on technology. So the year is in its starting months and the top guns in the mobile technology are competing to get hold of the market. We already have some phones launched by Samsung and Xiaomi, but there is a long way to go for 2019 to end. If you are a tech freak then you might already know what is going to come in the next few months or so. Samsung, Huawei, Xiaomi, Nokia, and ofcourse Oppo are in competition and they surely have few phones in their back pocket ready to be launched. Alright! Let’s get started and unveil some smartphones that will release this year. Now, a few months ago Samsung came out with its mid-range smartphones such as A30 and A50, and trust me friends they are doing a great job in terms of customer attraction and quality performance. Samsung have got two more of these Galaxy A series phones lined up, they plan to release the A90 first up, followed by the A40. The A90 is being considered as a flagship phone from Samsung and the price range might be around 50,000 INR. 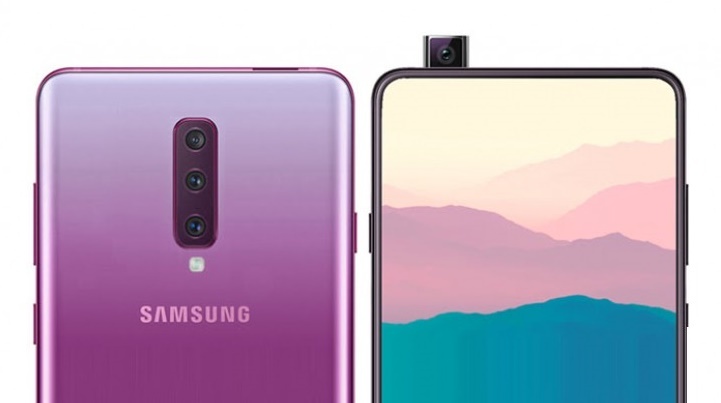 The Samsung Galaxy A90 will flaunt a 6.41-inch display having a full bezel-less finish and a small front camera sensor popping at the top. The OLED display will be provided with a Corning Gorilla Glass protection and under the hood, it will pack an octa-core (2.2GHz Kryo 360 dual-core and 1.7 GHz Kryo 360 hexa-core) processor that is seated upon the Qualcomm Snapdragon 710 chipset. It will further assist the Adreno 616 GPU and a 6GB RAM, with inbuilt storage of 64 GB and expandable up to 512GB. It is speculated that the device has been provided with a triple set of the rear cameras having 32MP + 5MP +10MP lenses featuring Phase Detection autofocus. At the front, there is a 32MP camera and a 3,700mAh battery with fast charging support. On the other hand, the A40 will come with a 5.9-inch full HD+ AMOLED Infinity-U display, dual rear camera setup with a combination of 16-megapixel and 5-megapixel sensors. It’s going to be powered by Samsung’s own in-house Exynos 7885 SoC with 4GB RAM and 64GB of internal storage running on Android 9.0 Pie. The price will be around 20,000 INR. This might be the most awaited gadget by tech heads, the talk about this phone has been in the market for a while now and it is being considered as the flagship killer gadget. 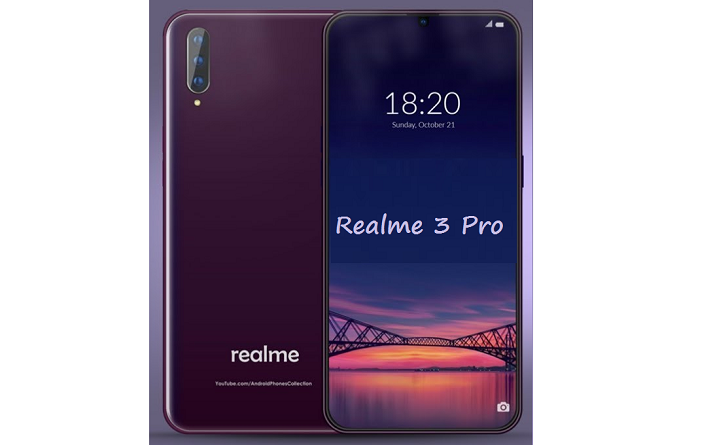 The Real Me 3 Pro mobile will feature a 6.3" (16 cm) display with a screen resolution of 1080 x 2340. Running on Android v9.0 (Pie) operating system, the device is to be loaded with advanced Snapdragon 675 processor and will most likely include the Sony IMX 586 sensor for its camera. It will have 6 GB of RAM and the onboard storage probably will be 64 GB with the option to expand the memory by up to 256 GB. As far as the battery is concerned it has a 4500 mAh. Now, coming on to the cameras, the mobile will have has a 16 MP + 5 MP camera combination. For graphical performance that can make games run smoothly, this phone has got a Mali-G72 MP3 GPU. This is the best phone that Nokia has ever made. Now, available in many countries the latest from Nokia is loaded with Android 9 Pie, Nokia 9 Pure View is as efficient as it is powerful. The Nokia 9 Android smartphone flaunts a 5.99-inch (1,440 x 2,560 pixels) screen with 490 PPI pixel density, The device is water resistant (IP68) and dust-proof, is powered by two Kryo 385 quad-core processors having 2.8GHz and 1.8GHz clock speed. Those are seated on Qualcomm Snapdragon 845 MSM8998 chipset. Furthermore, the Adreno 630 graphics facilitates excellent gaming experience, while the 6GB RAM promises sufficient programmes to perform without interruption. Now, coming on to the cameras, the Nokia 9 features four cameras at the rear, the smartphone brings you incredible camera quality with quad lenses of 12MP along with a 20MP front camera. The primary camera provides 4,616 x 3,464 pixels of maximum image resolution, which promises you decent candid photos. Apart from high image quality, the device imparts a bunch of features like continuous shooting, Optical Image Stabilization, Phase Detection autofocus, Laser autofocus, etc., that ensure you are never disappointed while capturing your remembrance moments. The Nokia 9 has 128GB inbuilt memory and there is no expandability. It is priced at 48,000 INR. The 3320 mAh battery can be wirelessly charged and you also get the Nokia wireless earplugs. The upcoming Oppo Reno will lead its full series. Oppo is working on a Reno with a Snapdragon 855 with liquid cooling that should also have 10 X optical zoom periscope cameras. Oppo Reno will have a 48MP f/1.8 main snapper, a 20MP f/2.6 ultra-wide and a third 5X optical and 10X hybrid zoom camera. It is speculated that the Oppo Reno will have a 12GB RAM and will be priced at 30,000 INR. Oppo is set to release the phone on April 10.